Our Managing Director, Richard Billington, requested this stove installation for his family home in Hampshire. Suffice to say, Richard kept a close eye on the whole process. 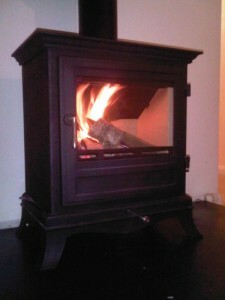 The choice of stove was a fabulous Barrington 8kw stove in matt black from Chesney’s. The Barrington has an elegant and refined appearance, and draws its inspiration from the delicate interiors and fine furniture of Barrington Hall, a neo-classical mansion owned by the National Trust. Due to the configuration of the house, the flue run was complicated and was limited on where it could be positioned. As a result we needed to install a twin wall flue system. 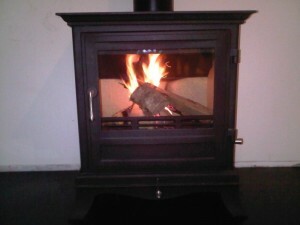 The installation process went well and the images show the stove on its inaugural lighting. 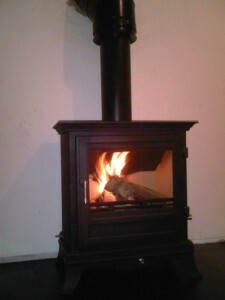 View another Barrington stove installation by The Billington Partnership.